LAS VEGAS, Aug. 27, 2018 /PRNewswire/ -- Boyd Gaming Corporation (NYSE: BYD) today announced the launch of the all-new B Connected – taking its award-winning, nationwide player loyalty program to a new level with the addition of new reward tiers and exclusive new benefits for Boyd Gaming customers. Supplementing the benefits and perks that make B Connected the favorite program of gaming customers from coast-to-coast, Boyd Gaming is adding unique new benefits for its loyal customers, including annual cruises on Holland America Line; vacations to Las Vegas, Hawaii, and Baha Mar Resort in the Bahamas; annual gifts of luxury jewelry and electronics; and unique and memorable trips and experiences you can't find anywhere else. 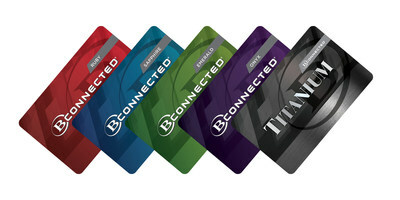 The all-new B Connected is now available in the Las Vegas Valley at Aliante, California, Fremont, Gold Coast, Main Street Station, The Orleans, Sam's Town and Suncoast; in Louisiana at Amelia Belle, Delta Downs, Evangeline Downs, Sam's Town Shreveport and Treasure Chest; in Illinois at Par-A-Dice; in Indiana at Blue Chip; in Iowa at Diamond Jo Worth; and in Mississippi at Sam's Town Tunica and IP Biloxi. Boyd Gaming plans to roll out the program at additional properties nationwide in early 2019. For more information about the new B Connected program, visit: www.BConnectedOnline.com. Membership in B Connected is completely free and open to adults ages 21 and over.